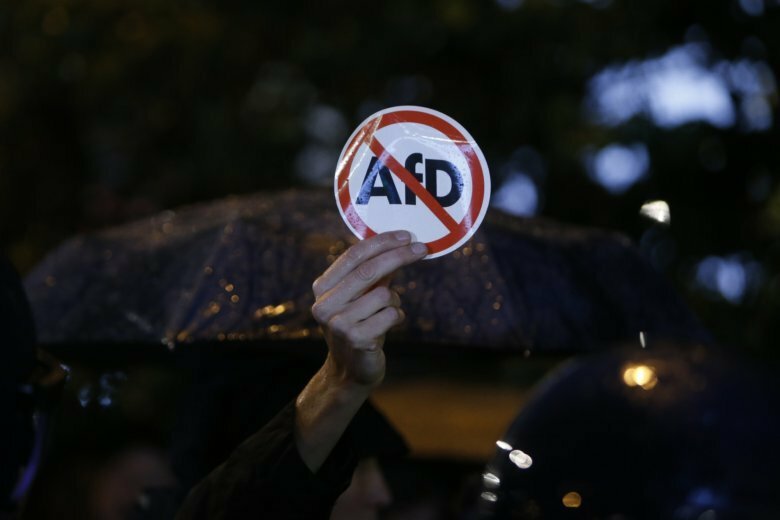 BERLIN (AP) — The far-right Alternative for Germany party has announced it will create a Jewish section within the party, drawing widespread criticism by Jewish groups across the country. “The AfD is not getting a kosher certificate from us,” the leader of the Jewish Students Union of Germany said, referring to the nationalist party by its acronym. Dalia Grinfeld said her group is urging all Jews in Germany to join a protest rally next month in the central German city of Offenbach, where the party plans to launch its new “Jews in the AfD” section. “The AfD is the only party in Germany that makes anti-Semitism by Muslims a topic without trivializing it,” Dimitri Schulz, a Jew and founding member of the planned Jewish AfD section, told the German news agency dpa. Still, it’s not clear how many AfD members are Jewish or how many of them plan to participate in the Afd sections founding meeting on Oct. 7. While there has been a series of violent attacks on Jews by Muslims in Germany recently and anti-Semitism incidents have increased overall in Germany, the majority of Jews, including the country’s leading Central Council of Jews in Germany, have warned about the AfD and its anti-Semitic tendencies. The head of the Jewish Council, Joseph Schuster has repeatedly warned that Jews shouldn’t wear their traditional skullcap, or kippa, in German areas with large Muslim populations.